In 1981, Kramer was founded with passion and resolve to innovate in the video era. Since then, we have consistently grown and evolved with an industry that has raced forward at lightning speed. Today, along with our partners and distributors, we passionately serve Pro AV customers on six continents with innovative solutions powered by cutting-edge cloud technologies, advanced software applications and industry-leading hardware. Kramer has been on the leading edge of Pro AV innovation for over 35 years. With hundreds of employees and partners serving thousands of customers across six continents, we remain committed to delivering smart technology products and solutions for a wide variety of markets and applications. Optoma is a world leading designer and manufacturer of projection and audio products for business, education, professional audio/video and home entertainment. Optoma’s projection products combine superior image processing technologies with exceptional engineering and innovation to deliver stunning crystal clear images with ultimate reliability. Optoma projectors use DLP® technology, pioneered by Texas Instruments. This uses millions of mirrors to produce high quality imagery which does not suffer color degradation over time, as sometimes experienced in other projector technologies. The name reflecta has been an old and established brand name in the photo industry for many years. The company was founded in Nueremberg 1967 with the foto-film-production. In 1970 the company moved to Schwabach (close to Nueremberg) and the product program was continuously extended. The next milestone was the takeover of the Agfa-Gevaert production plant in Portugal in 1984. Slide Projectors and the original CS compact slidemagazine and slidemounts system were added to the existing delivery program. A further removal followed in 1998 to Rottenburg a.N Germany (closed to Stuttgart). Today we are offering custom-made solutions for presentations and image processing for your specific purpose. As a result of the growing Digital Market the further extension of the present program was the inclusion of Slide- and Film Scanners and reflecta offers actually a range of 6 scanners and worldwide the only Magazine scanner DigitDia 4000 with Digital ICE. A further popular product group are the Screens. We offer every screen from the low cost model till the high class and design screens to meet the customer requirements. We supply - next to our balanced and innovative delivery program - also Digital Dataprojectors and Presentation Equipment like Overhead Projectors, Projection Stands, Flip Charts and White Boards. Legamaster is the visual communication division of edding AG, the leading manufacturer of high quality markers and pens. For over 60 years Legamaster is actively adapting its assortment to the latest trends and developments in communication technology. Ergonomic, durability, innovative, quality and functional attractive design defines our vision. Legamaster is located at the top of the European market sector. We are a manufacturer with a long history and two production plants in Europe and South America, which quickly and accurately respond to current market requirements. We have an extensive dealer network in almost forty countries. The joint objective of Legamaster and its dealers is to provide the end user of exclusively professional and well thought out instruments for visualizing communication. We believe that people have limitless potential, thinking and engaging in highly intellectual and creative activities based on knowledge gained by observing, sensing, and learning. Through this process, humanity has kept exploring new fields and areas of science and culture, making progress in leaps and bounds. Inventions such as calculators, watches, electronic musical instruments, electronic dictionaries, and digital cameras have made it easy for anyone to use information such as numbers, language, time, and music in everyday life. At Casio, we see it as our mission to invent new products that support human intellectual and creative activities, which will, in turn, drive social progress around the world. In our view, there are countless products in our world just waiting to be invented, each of which would fill a real need. Casio’s job is to create the products of tomorrow that will one day be everywhere, that will make everyone wonder, “How did we ever do without that before?” That is why we value out-of-the-box creativity above all in our product development, or what we call “creating something from nothing.” At Casio, we aim to provide the world with completely new value. Products and services only have inherent value when there are people to use them, thus we must never forget to ask in what ways they can benefit users. The people who use and enjoy our products support Casio not simply because the products deliver essential features, but because they are easy to use, reliable, well-designed, and reflect a world view. We will continue to deliver products that stand behind these treasured values that we share with users—products that offer fresh ideas to fit a changing world and can make our lives better. The greatest contribution we can make as a manufacturer is to deliver new possibilities to users, so that they can experience something completely new. At Casio, we will continue to create culture together with users, aiming to grow and develop together. Kindermann, a German company with a tradition going back to 1861, has long been well-known as manufacturer of slide and overhead projectors. Changing markets and customer demands have resulted in new targets. Today Kindermann is still a leading expert in presentation equipment but moreover develops and produces innovative media technology and systems for installation and integration at its German headquarters in Lower Franconia. Besides Kindermann is a distributor of several international brands in Germany and partly also in other European countries and can thus offer a comprehensive sales programme which ranges from the modern single projector to the complete equipment for conference rooms: projection and presentation solutions, mounting and installation systems, as well as media furniture with integrated technical equipment.. The sophisticated product range aims at system integrators and professionals of the audio visual market. Kindermann supports its dealers by providing them with competent technical advice and individual guidance for projects, including planning a system, supplying the technical equipment and caring for its integration. For all type of brackets Newstar has the solution for you. Check our website for all brackets available. 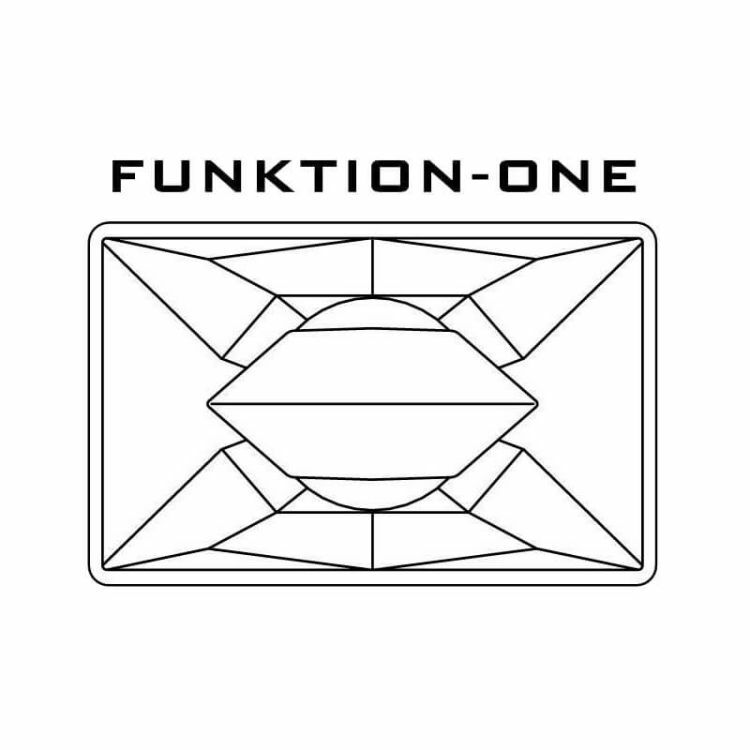 Funktion One are English inventors and manufacturers of professional loudspeaker systems. Achieving the best possible audio quality is the principle motivating factor at Funktion One. We are intent on sonic accuracy and our technological approach avoids the use of both system EQ (with its inherent phase and headroom problems) and compression driver mid-range (with its inherent harshness and distortion). Our loudspeaker systems also have excellent directional control allowing sound to be focused where it's needed and minimising out-of-venue environmental impact. Our designs also focus on maximising efficiency (conversion of amplifier power into acoustic energy) as this tends to produce alive and responsive sound. It also means that less electrical power is required for a given acoustic output making F1 Resolution systems more energy efficient compared to alternatives. 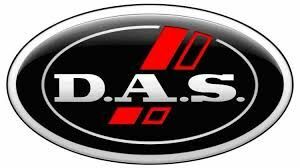 After more than 40 years of intense activity in the world of audio, D.A.S. has acquired a valuable know-how in the development and manufacture of sound reinforcement systems. Recognized around the world for its quality products and customer oriented service, the company’s highly qualified staff is dedicated to designing and building an extensive line-up of products used wherever reliability and sound quality are requisite. The company headquarters is located in Valencia, Spain and occupies approximately 24,000 square meters (260,000 square feet) in Spain’s largest industrial park, the second largest in Europe. Created e n 1987 CAE Group develops and markets innovative solutions around its three hearts lines of business: Building, Industry and Residential. With a turnover of € 73 million, CAE Group employs around 250 people. Since 2007, CAE Group joined the TKH Group industrial holding company. This international entity based in the Netherlands, which has a turnover of 1.2 billion euros is positioned as the technological leader in all its businesses, including vision, security, communications systems, cabling solutions and automation-process. AEB Industriale s.r.l, founded in 1974 in Bologna, Italy, operates in the Professional Audio market under the brand dBTechnologies and is part of Pro Audio industry leader RCF Group. AEB Industriale headquarters are located in Bologna where all dBTechnologies products are designed and developed. Over the years, thanks to a policy of considerable investments in R&D, design and manufacturing technologies, dBTechnologies products have gained substantial recognition for some groundbreaking technological innovations, as well as their inherent standards of quality. In particular, dBTechnologies has been one of the industry’s trailblazer in active speaker & digital amplifier technologies, while giving a major emphasis to details and design. A constant research on new materials and technologies, together with the ability to create unique design solutions, are the key ingredients for an ever-increasing market share and success. In January 2016, the brand was distributed in more than 100 countries worldwide, providing installation companies, rental companies, sound designers and musicians with audio equipment combining top-quality sound performance with Made in Italy design. 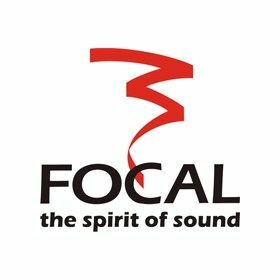 The traditional loudspeaker and speaker driver are the heritage channels for Focal, the heart of its DNA, crafted with Focal technology, engineering and precision materiality. A loudspeaker is also part of everyday life, music is everywhere. That is why we have taken infinite care with the detail in our products, outstanding quality for everyday use. All our drivers and loudspeakers are made according to the same high standards to offer the best listening solution whatever the size or price. Inspired by Passion. Driven by Excellence. An obsession to deliver flawless audio experiences is built into the design, construction, and performance of every Integra component. We don't build simply to impress. Components that break new ground in high-end build quality, high-definition potential, system integration, and multi-zone expansion make Integra the choice of A/V experts and home theater fans worldwide. As the technology giant of Turkey in durable consumer goods sector, we carry out our activities with a mission of making the “highest quality” accessible to our customers and being a leader in the sector we operate in. We aim at being the most powerful production and technology group of the world in our sector and achieving a sustainable and controlled development by focusing on producing high quality consumer products. We continuously invest on research and development to strengthen our outstanding position in the market. In this regard, we will carry our current determination to the future. Europe is still the main target market for us. For this reason, we aim at keeping on monitoring the new trends in the said market to meet the same and to add new products to our already existing portfolio. While extending not only our own but also Turkey’s export map through our successful export operations, we expect our sales in Middle East, South America, Australia and North America to make a significant contribution to our growth target. On the other hand, all our activities in the local market keep on having major role. We aim at increasing our share in the global market consistently through our high production quality, innovative products and rising brand equity. We also aim at extending the share of our “A” brand products. In the upcoming period, we will keep on giving importance to ODM related services.